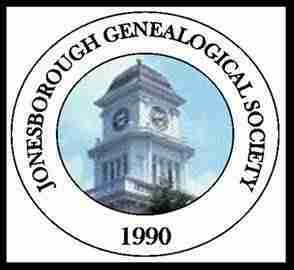 On Saturday, January 26th, at 9:30 am, Cherel Bolin Henderson, executive director of the East Tennessee History Center, Knoxville, will present a talk on the “First Families of Tennessee” program for the Jonesborough Genealogical Society’s January Genealogy Day at the Washington County-Jonesborough Library, 200 Sabin Drive, Jonesborough. Cherel began her career at the East Tennessee Historical Society in 1987 and was promoted to associated director in 1995. In 2003, Cherel became executive director and has helped bring together many organizations, programs, and projects since this time. She is the founding director of the ETHS Tennessee Bicentennial family heritage program, First Families of Tennessee, and was editor of the book First Families of Tennessee: A Register of Early Families and Their Descendants. From 2001-2009, she was editor of the ETHS genealogy magazine, Tennessee Ancestors. Cherel has published numerous records transcriptions for several East Tennessee counties and with a co-author transcribed and published a three-volume set of cemetery records for Jefferson County. Cherel serves on the boards of the Knoxville Arts and Culture Alliance, Tennessee War of 1812 Bicentennial Committee, and the Knox County Civil War Sesquicentennial Commission. She is deeply rooted in several East Tennessee counties, and her greatest pleasures are spending time with her children and grandchildren, research, and traveling to far corners to “go to the place; stand on the spot” where historical events took place. For more information on upcoming society events, projects, or membership, please visit our website at jgstn.org or email at [email protected]. Is there a place for pre-registration? Thank you. This event is open to the public. No pre-registration is required to any of our meetings except workshops.